PastaBrush — HI, I AM JONAY. This is an idea for a starter dish that came to me while I was cooking some pasta and thought that I needed a shave. 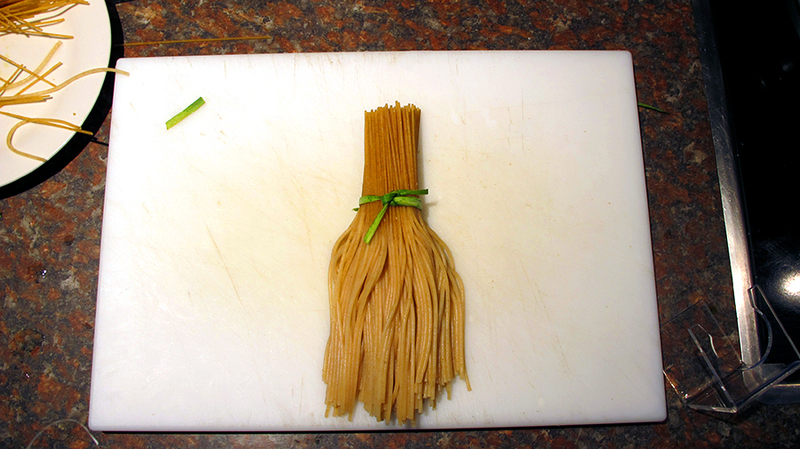 I cooked only half length of the pasta and carefully cut and tied it with a leak leaf so it looked like a brush and placed it in a brush stand. In order to simulate the soap, I prepared a cheese foam as a sauce.To eat it, you just need to grab the pasta brush from the top, wet it in the sauce and enjoy it. Materials: pasta, cheese foam, leak leaf, shaving brush stand.